The Royal Brompton in London report a 50 case outbreak of C. auris, and a range of IPC measures that you would expect to prevent further transmission, but failed to do so. What’s so special about Candida auris? Is it a superfungus? 22 (44%) of the 50 patients included in the outbreak between April 2015 and July 2016 required antifungal treatment for C. auris infections, 8 (16%) of which had bloodstream infections. No deaths were directly attributable to the C. auris infections. Molecular typing suggested that the ‘Brompton clone’ is not related to previously-reported outbreak strains. Most of the cases occurred in the ICU, but transmission also occurred outside of the ICU setting, demonstrating that this organism isn’t restricted to the ICU patient. 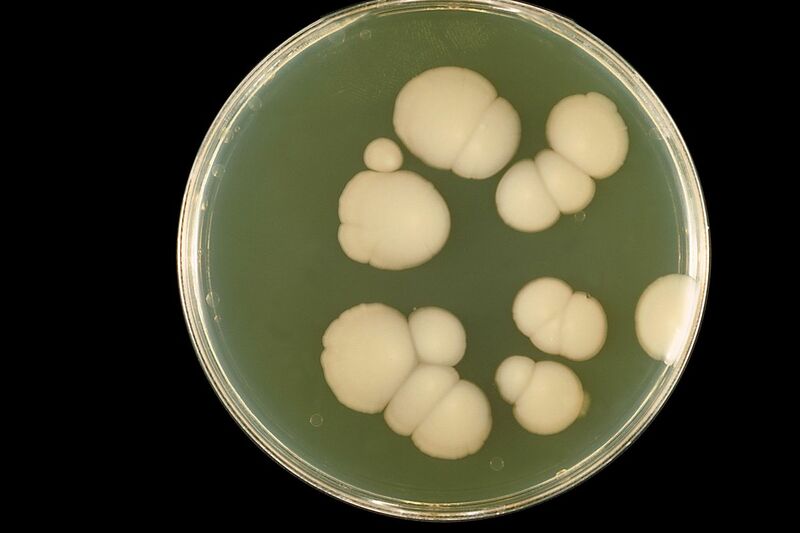 As has been reported elsewhere, C. auris was resistant to fluconazole, but susceptible to other antifungals. Continued isolation for case patients for the duration of their stay. Continued isolation of direct contacts until three negative screens had been obtained, and weekly screening for the duration of their stay. Strict contact precautions were introduced (gloves, aprons AND gowns) (As a side note, it is probably not that helpful to think in terms of ‘strict’ contact precautions; what is the alternative? ‘Lax’ contact precautions?). Decolonisation of case patients using chlorhexidine. Closure of affected areas to new admissions. The paper includes very few details on this point. Exactly which clinical areas were closed, and for how long? This will have a major impact on the cost of the outbreak and associated control measures. Use of chlorhexidine-impregnated discs for central vascular catheter exit sites (BioPatch). Regular screening for asymptomatic carriage. The rate of carriage at the time of hospital admission was very low, with only 1/2246 (0.04%) screened patients found to be carrying auris. It is not clear exactly which group of admissions this represents. Was this all admissions to the hospital, or just those to the ICU, which was the epicentre of the outbreak? The Pandora’s Box that is staff screening was opened (including staff who were ‘just passing through’ the unit). This identified only 1/258 staff to be carrying C. auris, and the nurse was decolonised successfully (or they decolonised themselves spontaneously). Perhaps ‘decontamination’ would be a better term, because I suspect the staff member was ‘contaminated’ rather than ‘colonised’ with C. auris. Thrice daily 1000 ppm sodium hypochlorite for patient rooms and equipment. Terminal disinfection using 10,000 ppm sodium hypochlorite followed by hydrogen peroxide vapour. I wonder whether this is the tip of the iceberg for C. auris? Many (perhaps most) clinical labs don’t have the technology to distinguish C. auris from other related fungi. So exactly how many C. auris isolates have been misreported as another Candida species (or just reported as Candida species)?! We have much to learn about the basic epidemiology of the organism in terms of ecological niches, transmission routes, and effective IPC measures. Also, the relationship between antifungal usage and the emergence of C. auris, which is characterised by antifungal resistance, should be a priority area for research. In the case of this outbreak report, it would have been interesting to see some data on antifungal usage, in the ICU in particular, to see whether this was a driver for the emergence of this pathogen. Finally, this outbreak is not over. The authors describe an ‘ongoing outbreak’ in the paper and the latest situation reported at FIS/HIS last week is that cases of colonisation continue to be identified, presumably due to ongoing cross-transmission. And this despite an extensive battery (aka kitchen sink) of IPC measures. So, it seems that once this ‘superfungus’ becomes embedded in a patient population, it is extremely difficult to eradicate; this argues for early and aggressive intervention to prevent the initial transmission event from an index case!